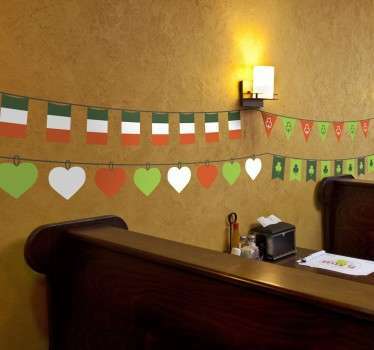 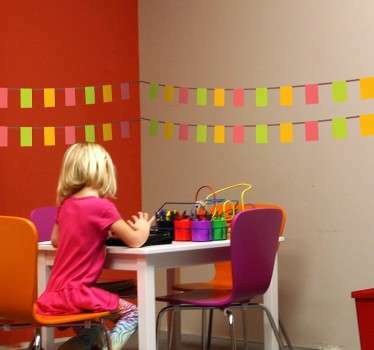 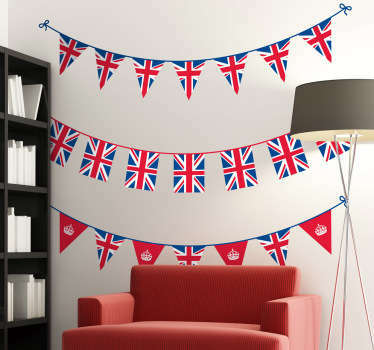 Everyone loves the new craze of bunting flags right? 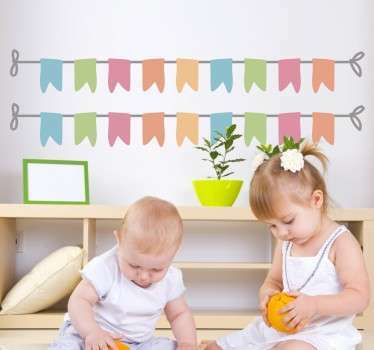 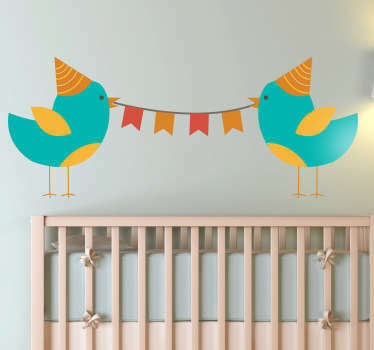 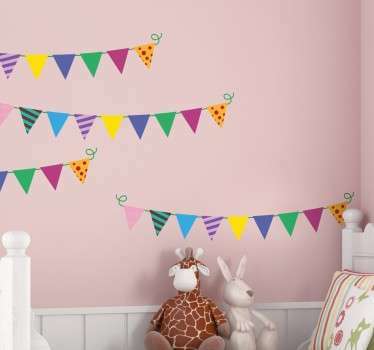 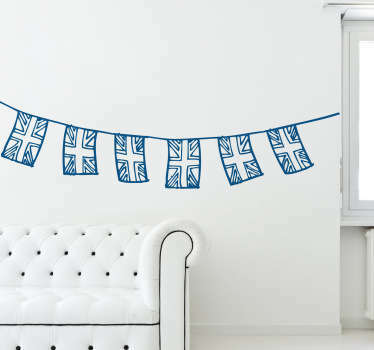 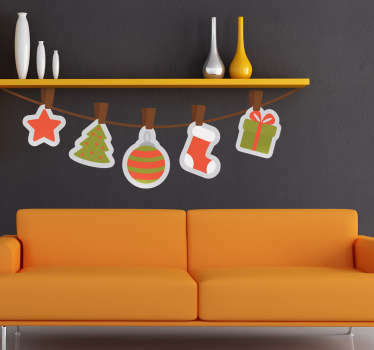 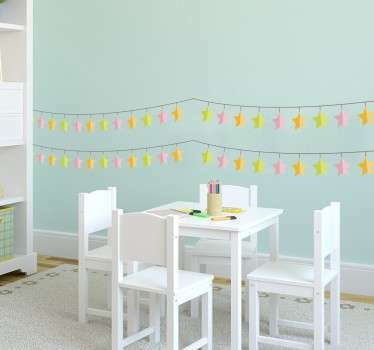 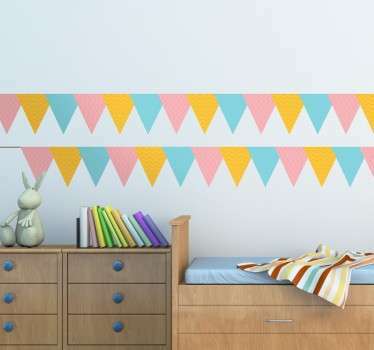 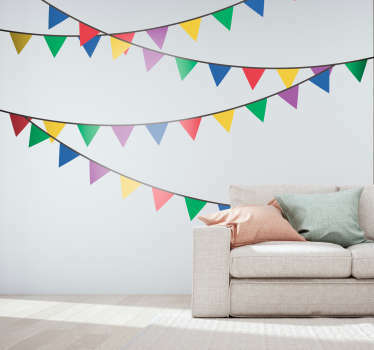 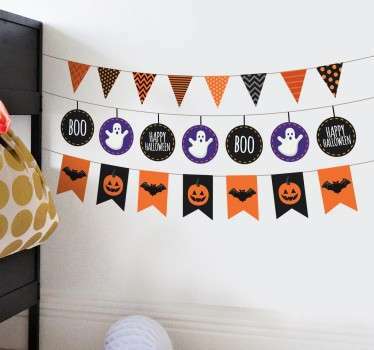 Now you can decorate your home with some creative bunting stickers, so you won’t have to worry about them falling down! 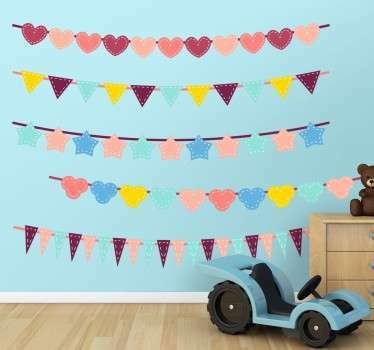 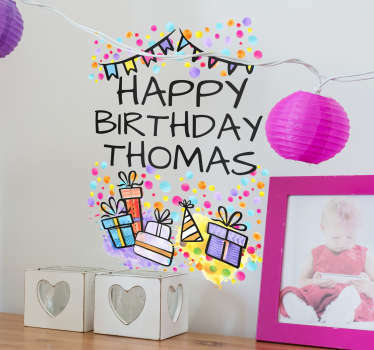 A range of designs available including children bunting and even bedroom bunting! 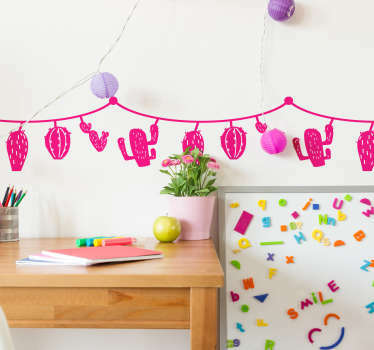 Place on any flat surface you like whether it is on windows or walls. 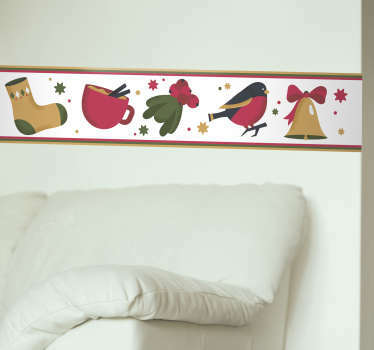 Ideal for creating a unique border look at the top or across the middle of your walls. 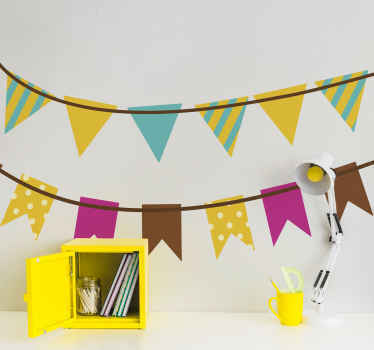 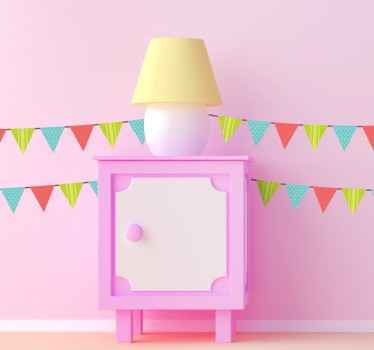 Perfect also for decorating your home for special occasions and parties. 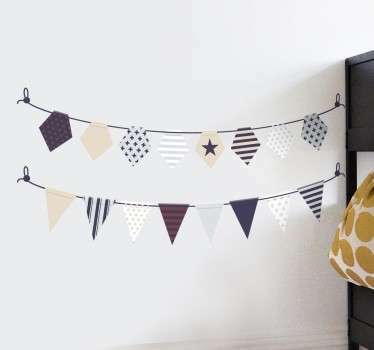 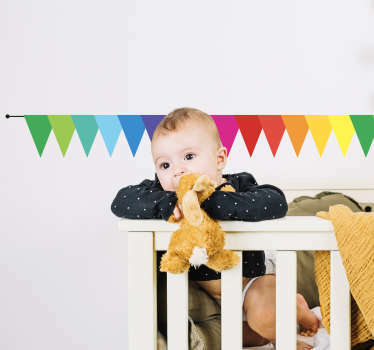 Our collection of children’s bedroom bunting is sure to be a hit with the kids!